Phil is undoubtedly on of the top DJ's on the US circuit today. Known in his hometown of San Francisco for his legendary performances at MASS, Aftershock and Industry, Phil's versatility as a DJ has made him a favorite with partygoers everywhere. Getting his start in Perth, Australia at Connections Nightclub, Phil honed his skills and his sound for 4 years before spreading his wings. When he arrived in San Francisco in ’93 the local club scene had really begun to explode. Phil quickly built up a loyal following playing local events, but it was his residency at PLEASUREDOME, alongside legendary DJ’s Jerry Bonham & Neil Lewis, that propelled Phil to national attention. Appearances at some of the biggest clubs and events on the US circuit followed, in a career spanning more than 15 years. From Universe, Metropolis and Mezzanine in San Francisco, The Tunnel & Roseland in New York, Crobar and Level in Miami, The Mayan and Factory in LA, Montage in San Diego, Shampoo in Philly and the Pavilion on Fire Island – Phil is always in demand. Whether he is playing one of his renowned T-dance sets (White Party, Sundance, MASS), peak-hour (Blue Ball, Viva Las Vegas, Industry@Mezzanine), or a harder after-hours set (Aftershock, Bump, Red Eye), Phils passion for his craft is clear. 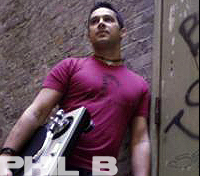 A talented remixer, Phil’s production credits include work for Grace, Livin’ Joy and a number of projects for BT. Phil’s 2000 compilation CD ‘ Music For The Club’s’ was one of the years highest selling dance compilations, spending 6 months in the Tower Records top 10. Phil is an active reporter for Billboard Magazine. 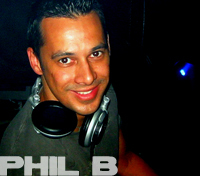 In 2006 Phil will perform at the Winter Party (main event), The San Diego Zoo Party (w/Tony Moran) and will be resident DJ at Avalon Los Angeles.